This is a separate building we had built for our dogs. It is A/C and heated along with several extra fans for breezing. 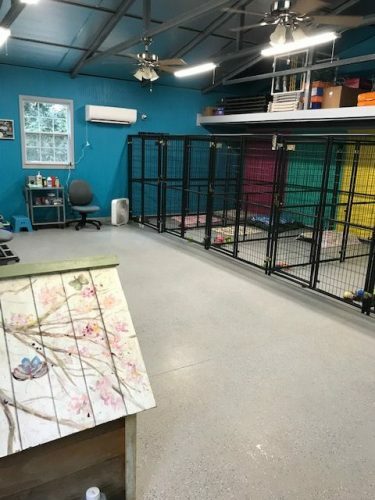 Each condo has pillows, blankets, bones, and a selection of toys for the dogs who stay in each. 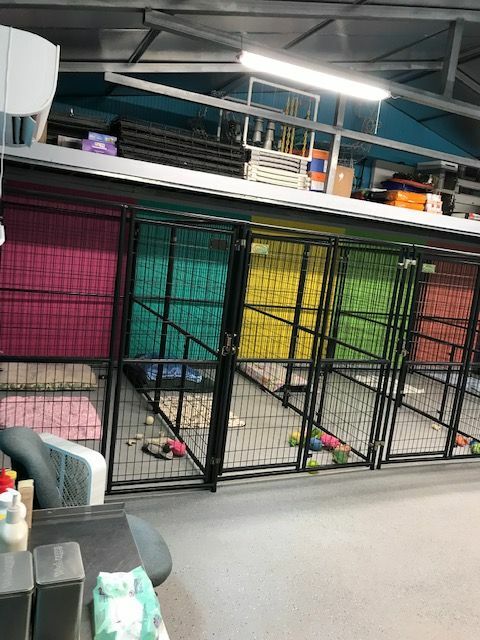 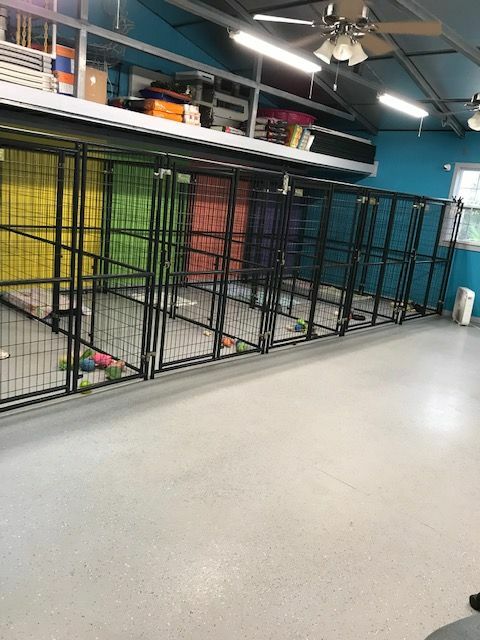 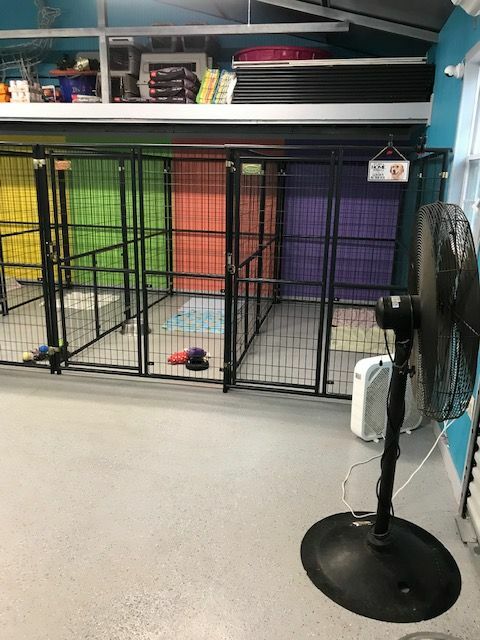 We have a storage loft above our condos for extra toys, crates, gates, food, and more! We have a large open space in front of the condos where we have playtime and training. 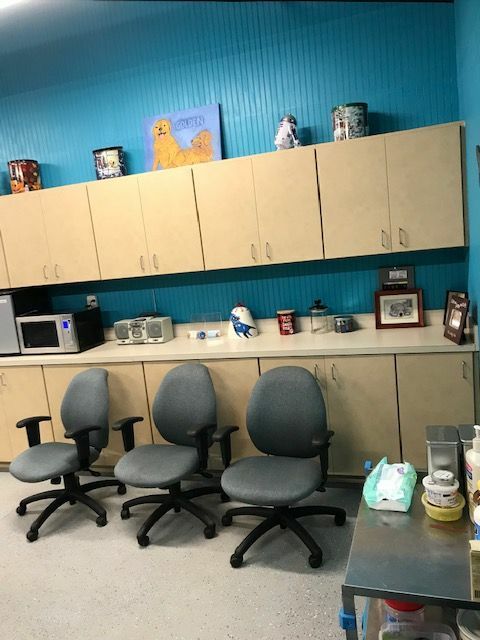 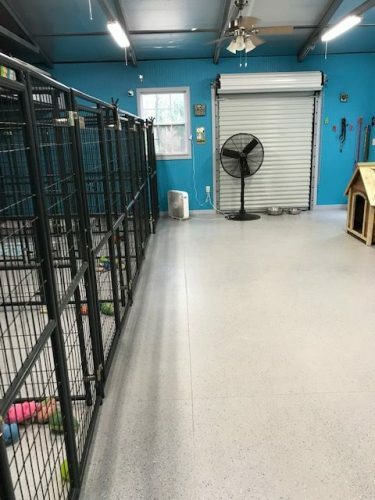 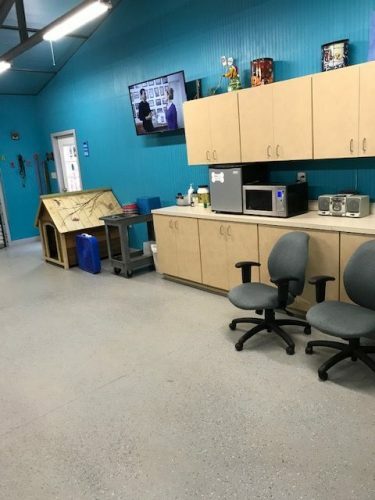 The cabinets are fully stocked with all of our doggie needs including a microwave and mini-fridge on the countertop (used during food preparation). For their entertainment we have a large TV and a radio. 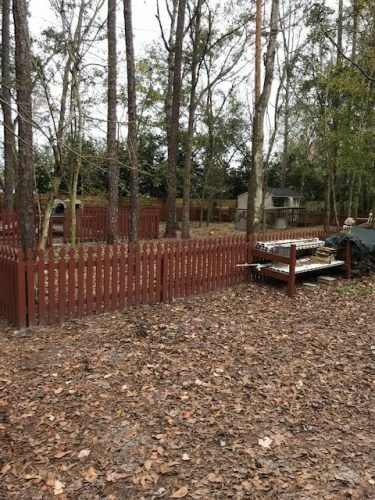 We currently have 1/4 acre fenced off with some outdoor toys and 2 decks which allow our dogs to see over the property. 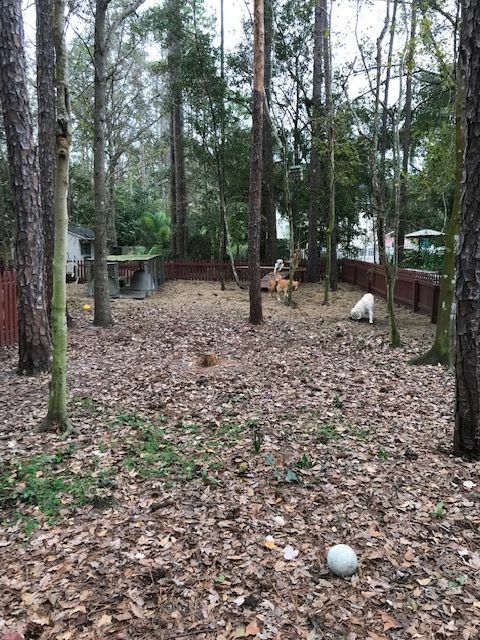 This area allows them to run and dig as they please. 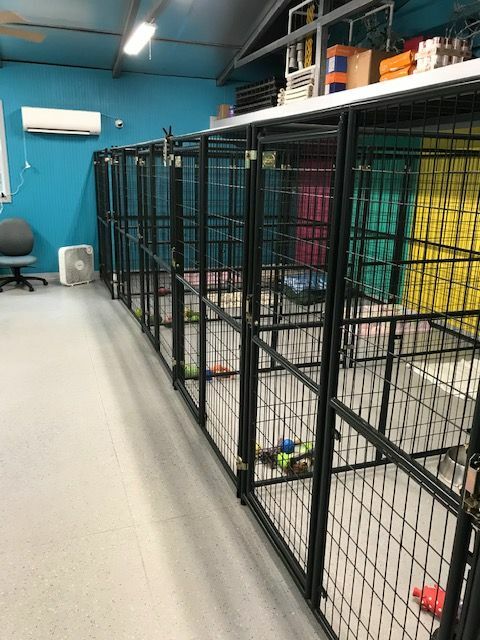 We use bales of hay to help keep them a bit cleaner. 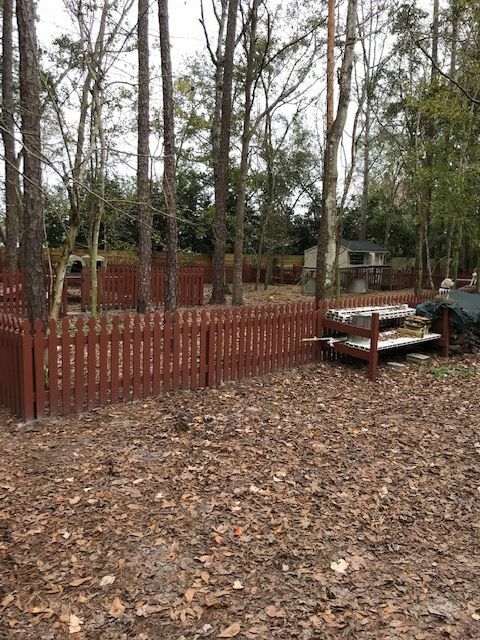 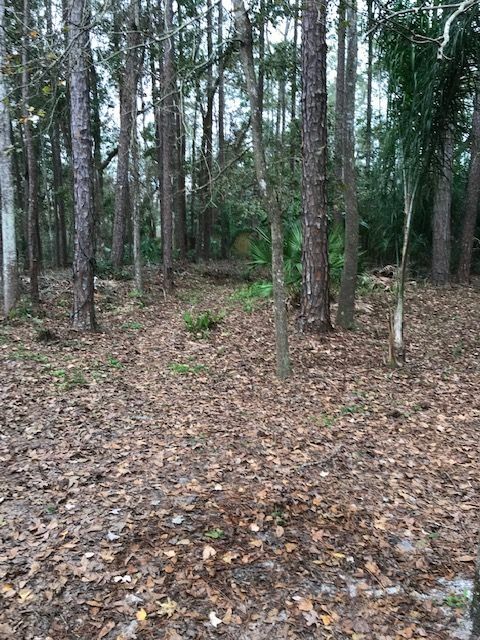 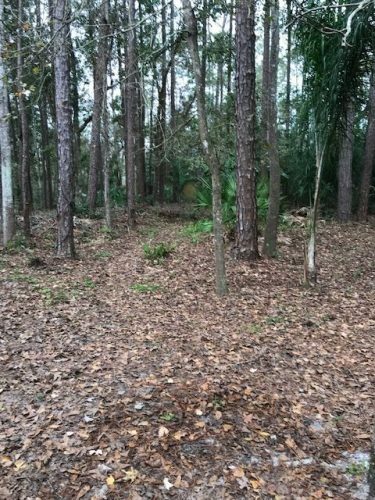 The separate fenced and gated area we have within the already fenced 1/4 acre is the area used for when our dogs are in heat and need to be kept separate from the others. 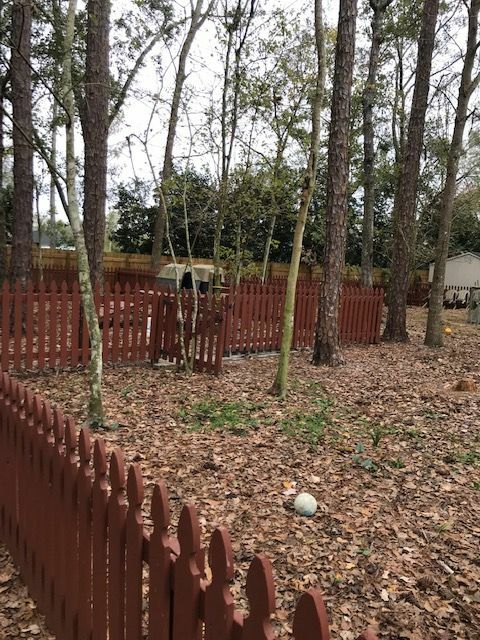 The final picture of our outdoor area is currently not fenced but we plan to extend our current area further back on our property and attach a gated area leading to the “Dog Condos”. 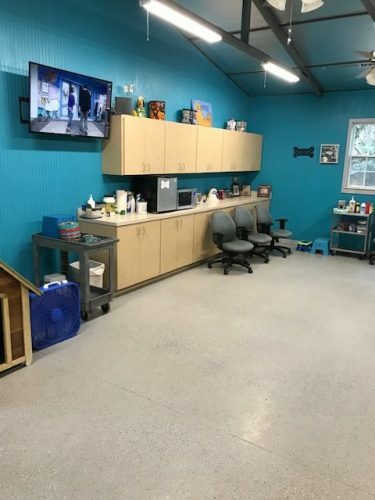 We also have a pool area where the dogs are able to go and swim!